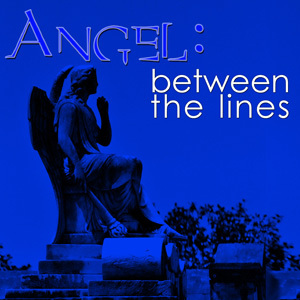 Angel Between the Lines is an audio drama that takes place between the seasons of Angel the TV show. Season 1 takes place between Angel the Series Seasons 3 and 4. We’re a fan production, not affiliated in any way with Joss Whedon. This is purely for fun, and no money is being made off this production. Need help getting podcast on iTunes? Check out this tutorial video from Apple. No, as much as we’d like to be Joss Whedon – this is a fan created content. We tried our best to fit within the established canon of Joss Whedon’s universe, but it’s our own interpretation of what happened between the seasons of Angel the Series. We reserve the right to be Joss’d by Joss Whedon (be made totally wrong by Joss himself if/when he writes storis in this universe). We’re trying to emulate the TV show. TV shows have commercial breaks. Also, we’re trying to expose people who haven’t listened to podcasts to other podcasts they might enjoy. A big part of our listener base is new to podcasts and, with this format you can’t just skip over them (which a lot of people want to do). We’ve already got a couple listeners who are now trying out other shows. Why write fanfic when you can create your own stories? For all of the writers of Angel Between the Lines, the answer might be different. The general answer is because we love Angel, the Whedonverse and want the stories to continue. We’re not the first fanfic writers and won’t be the last. Are you guys making money on this? Nope, not a penny. We and FarPoint Media actually spent money to make this (to pay for hosting, website domain, mics, programs, etc). Can I help with the production? There are usually specific times we do auditions, if auditions aren’t being held currently you can email us at betweenthelinesstudios@gmail.com and express your interest. If you’d like to help out the crew we always need more help! Where did you find these actors? Back in June-July of 2007 we had an open casting call for auditions for Buffy Between the Lines Season 1, some of our actors (like Clay Robeson who plays Angel and Liane U. who plays Fred) were cast then. Then in March of 2008 we had a second open casting call for auditions for Buffy Between the Lines Season 2 and some more of cast members were cast then (like Lisa T. who plays Cordelia and Andrew Ball who plays Lindsey). We’re currently running auditions for the rest of our cast members. Did you know that _____ sounds EXACTLY like ______? Yep, believe me – some of our characters are so exact that it scares us. Did you know that _____ doesn’t sound at all like the actor? Yep, not all of our actors are exact copies of the original actors. We actually were looking for people who could capture the “essence” of a character, so even if Buffy doesn’t sound like Sarah Michelle Gellar she still sounds like Buffy might sound if cast differently. How do I email _______? Simply email betweenthelinesstudios[at]gmail.com, if it’s for a specific member of the cast or crew, we’ll pass it along.